An essential element of a modern man’s look is facial hair. But “facial hair” does not only concern the beard, moustache or sideburns. The eyebrows are a crucial part of it too. Messy hair in that region can result in an unkempt look.  Porters Barbers has a team of skilled barbers who can take care of the eyebrow area. Our eyebrow stylists use one of the gentlest techniques to control unwanted hair in the area. Typical problem areas include the forehead and the centre of the eyebrows. Eyebrow threading will result in cleaner brows that have a tidier and more defined look around the eye area. The main difference between women and men’s threading is the extent of the hair removal. For men, only minimal cleaning is required. The natural shape of the eyebrows is maintained, but stray hairs are removed. Stray hair, especially with strands finer than eyebrow hair, can cause a shadowy shade around the eye. Upon removal, there is often an immediate brightening of the face, especially around the eyes. By using two cotton strings entwined, threading does not require the use of chemicals and is a quicker process than individual plucking. Threading is arguably the best method to remove unwanted hair growth, especially from the finer follicles. The threads will pluck hair by the region, which cuts down the procedure time over individual plucking. Without the use of wax or other adhesives, the process is also kinder to sensitive skin. Walk-in clients are welcome at Porters Barbers for eyebrow threading. It is also possible to pre-book appoints from any of our establishments. Find our location nearest you and be welcomed by our warm and professional barbers. Enjoy our beautiful interiors and indulge in a setting where grooming is serious business.